After a year on Toyo J48s and now 3 months on Toyo Proxes CF1s, we like Toyo tyres, so news of the new Toyo Proxes CF2 is good news to us. The new Proxes CF2 promises highest levels of safety, grip and wet-weather performance in an attractive case design that comes in many sizes and fitments and excellent value for money. Not only does the Proxes CF2 offer excellent water evacuation capability, but also, an impressive 15% better wet-weather grip than the Proxes CF1, that, as we have found was already very good indeed. See Our Cars. reassuring and communicative handling. 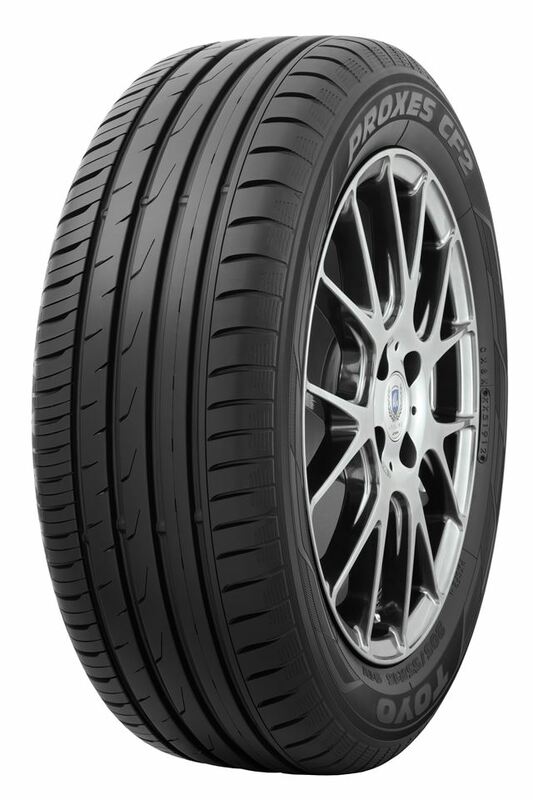 Wet or dry, the Proxes CF2 is a tyre that telegraphs information back to the driver for an involving and rewarding driving experience. is capable of up to 41% longer life than CF2s too, showing just how much development has gone into this clever case design. resistance and noise – only 70dB under the new EU labelling programme.